1. First go to any of your desired site like hotfile.com or fileserve.com or rapidshare.com. 2. Then click ctrl+D in mozilla or <Bookmark This Page> in bookmarks option. and click Done. 3. Click on bookmarks in mozilla. See in last the page you bookmarked. right click it & then properties . 4. On the name field type the site name. I used Rapidgator. & in the location field copy paste the java script for your site. then Click save. 6. DO NOT LOGOUT it will kill the cookie. Some rapidgator or depfile or lumfile working?!! Thank you so much for your effort!! keep on this way!! Hi all users, how are you ? I'm fine here :) well, these days it is almost impossible to find a decent file-hosting website to download from, which does not restrict the free user. It’s even more impossible to download from a lot of these file host sites “rapidshare, upload.to, rapidgator, ryushare, extabit , etc. as a free user, which these uploaders are hosting their files to. It’s also impossible to find a premium generator service for “Rapidgator ”an “Ryushare”, so if anyone finds premium services for those two host, please share you finds here. 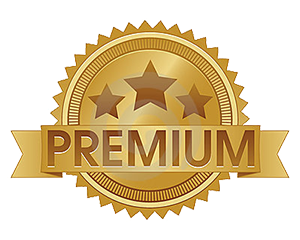 In fact… you may contribute what ever finds to what ever outstanding premium link generator you’ve come across, that does not exist in the below list. Peace out. Hi all user, this is an excellent website for converting mediafire link to premium link. You can also download the mediafire folder by using this Mediafire Premium Link 2013"